Come and have fun with alphabet letter H preschool activities and crafts for toddlers, preschoolers and early elementary. Visit a theme below for lesson plans that include activities with easy instructions, printable crafts, printable materials in color and coloring pages, suggested children's literature and related online early childhood resources. 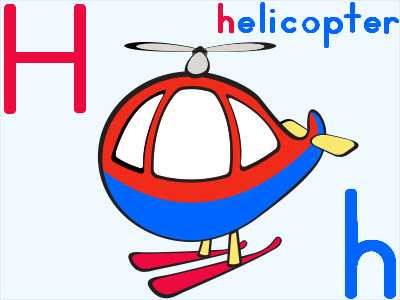 Letter H Printable Activities: color posters, coloring pages, activity worksheets, and handwriting worksheets in D'Nealian and standard block formats. The link will take you to that animal's section for many activities, crafts and ideas to incorporate to learn the letter.